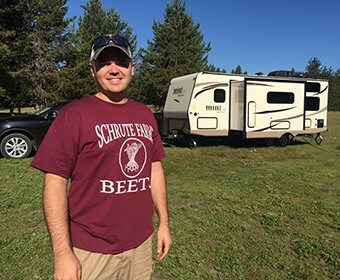 People have different views about if your camping experience is legitimate if you spent it all within the comforts of an RV; some people say yes, and some people say no. Some people think that because you’re still indoors and you’re not roughing it out in nature, you’re not really camping. So which is it? 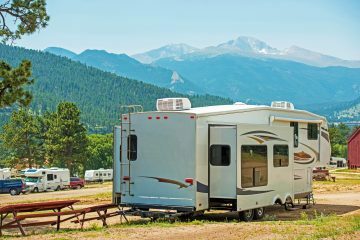 Is staying in an RV considered camping? Camping is defined as “an outdoor activity involving overnight stays away from home in a shelter, such as a tent.” Note SUCH AS, it doesn’t mean ONLY. Shelter can mean either a tent or an RV. 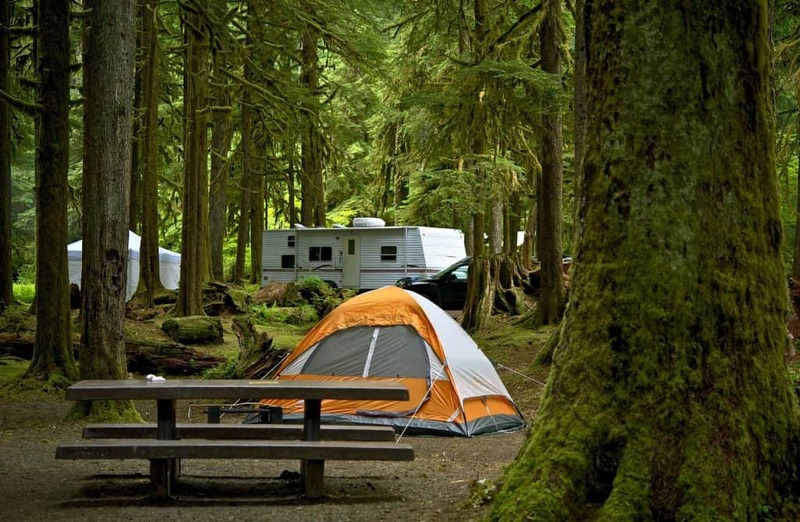 Whether you’re roughing it up in a tent or in a warm RV, camping is still camping. They both serve the same purpose: it’s a chance to go outside and enjoy the outdoors. 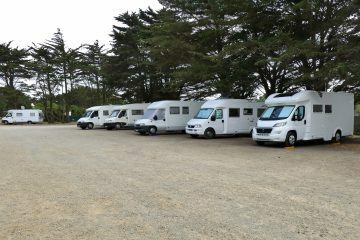 Some people prefer camping in tents, and some people prefer RVs for their own personal reasons, and both are acceptable. People have their own preferences when it comes to camping, and whatever you choose to do is perfectly fine- if you enjoy it and it allows you to more fully enjoy your camping experience, then keep on doing it! What matters is you enjoy camping, and how you do it doesn’t and shouldn’t matter. Some people prefer to use tents because it makes their camping experience more rustic. It enhances their experience to sleep on the ground and have almost no extravagancies. If you’re one of them, then that’s awesome, and you should keep at it! Some people prefer to use RV campers to camp, and that is also completely fine. Even though they’re still roughing it out in the wilderness, some people want to sleep on a bed. For example, camping for me is fun when I sleep on a mattress rather than a sleeping bag. Why? Because sleeping on the ground hurts my hips and my back. It’s uncomfortable for me, and I’ll wake up several times during the night. When morning comes, I’ll be tired and very sore for the entire day. That, in my opinion, is not going to make my camping experience enjoyable. There is a large range of people who have a love for camping and enjoying the outdoors, but none of us are superhuman. We all have our cricks and pains in one way or another. Some campers are going to be older than others, so their bodies may not be as sprightly as younger people. Sleeping in a sleeping bag can be a great experience for one person and a nightmare for another person. Some people love to use nothing but what nature gives them to make a fire and cook food, but others prefer to use standard cooking equipment to fix a meal (I like to switch between both). Some people will lather on the sunscreen and enjoy the heat of the sun while others want to have consistent shade from an awning or air conditioning to keep themselves safe from heat stroke or painful sunburns. Most people will want a toilet. Another reason why people like to camp in RVs is it’s more convenient. 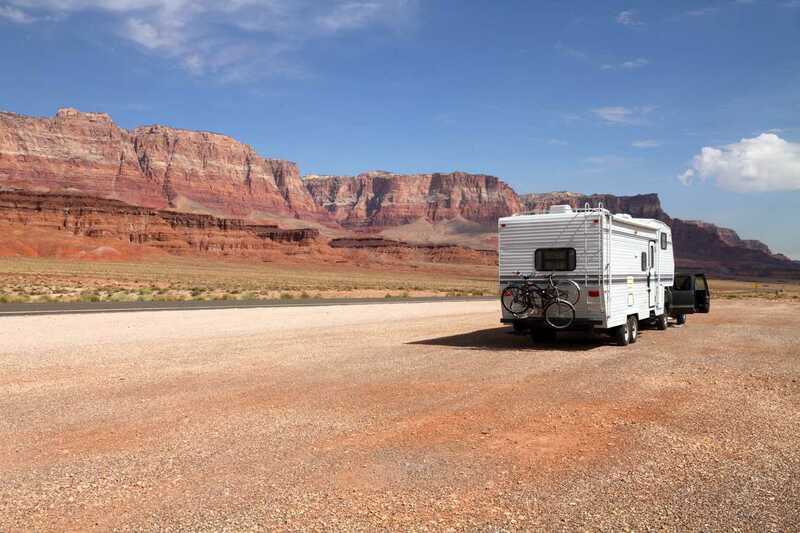 When they go camping, they don’t need to go through the ritual of packing and unpacking several times during their trip; everything they need for the trip is packed in their camper. They can pack everything in there, and most of those things won’t need to be removed. If you need your toothbrush or a change of clothing, you won’t need to rummage through all of your things to get them. You have the freedom to pack a few more things. You can keep your things in your camper, and if you have a few items that won’t fit, you have extra room in your car to place them. You don’t need to worry about being limited to the type of food you need to bring since campers are usually equipped with a refrigerator. Lastly, if the weather gets bad (rain, snow, storm, wind, etc. ), you can retreat inside to stay dry and warm. And thanks to the option of electricity, you can still cook food. It all comes down to comfort. 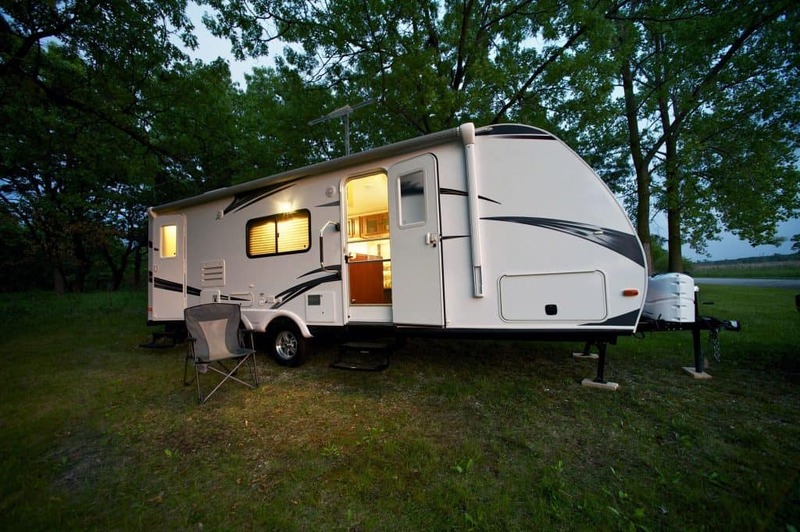 RV camping allows people to enjoy camping while staying comfortable. If they’re not comfortable, then they’re not going to enjoy it. If you’re taking a camper with you, there are ways for you to have a more rustic camping experience without abandoning your RV. Ditch the electricity: There are a lot of camping sites that offer electric hookups. If you want to, you can opt to not get these hookups. 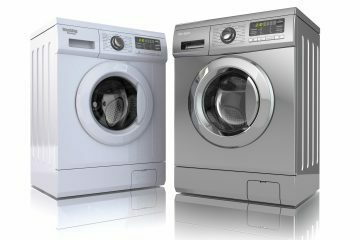 You won’t be able to use any appliances or things that require electricity, of course. On the bright side, you’ll save a bit of money and it will allow you to really disconnect and soak up more of your camping experience. Bring your own water instead of hooking up: Water is another amenities that campsites offer via hookups. Rather than relying on the hookups for washing your hands or for drinking water, consider buying gallons of water at the store; it will cost less! You could also look into campsites where they provide water pumps. And yes, you could still take a shower. It might require a little more work, but it’s doable. Leave your phone at home or put it away: I love my phone. I love that I can call family members who live far away and send messages when something changes in a plan and I need to let someone know right away. It’s amazing what you can do with technology. However, phones can be a great distraction. By hiding your phone somewhere in your RV or even leaving it at home, you can focus on the now and what’s happening around you. Why look at your nature wallpaper when you can look at all the nature that’s around you? This is directed more to games or social media. I completely understand if you want to make sure your phone is available in case of an emergency. I do that myself; in the meantime, I make sure my phone is on airplane mode or put away so I don’t get distracted by notifications. Leave cable for your home: TV is a fun distraction, but while you’re camping, I’d suggest leaving cable just for your home. Just like phones, TV can distract you from enjoying the great outdoors. Try making meals with a campfire: I think campfires are a lot of fun to create and have on a campsite. To me, building a campfire is one of the most classic things about camping. There are a lot of recipes that you can make with a campfire, like s’mores, hobo dinners (tin foil dinners), and even pancakes and french toast! You do need to learn how to build a campfire, it’s going to take a long time to cook food compared to using a stove, and there’s more risk of burning yourself. However, campfires are more versatile with how you can cook food, and you don’t need to bring as much equipment. Weather: if there’s rain or it rained recently, finding wood that’s dry enough to burn properly will be more difficult. Availability: Can you find wood at your campsite or do you need to bring it? Fire rules: Before you go camping, you need to make sure that your campsite allows open fires. It costs more. 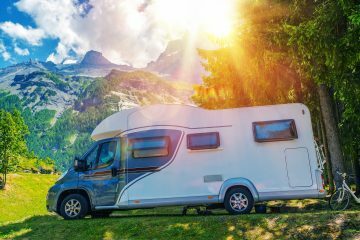 An RV alone is crazy expensive, but camping prices are usually more if you’re RV camping, and if you want electric and water hookups, it’s going to cost extra. 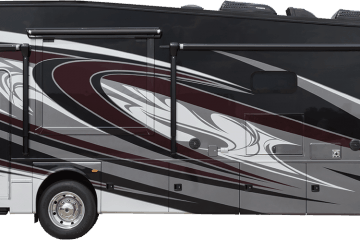 RVs are huge, and there are some places you can’t go with an RV but you can if you just have a tent.